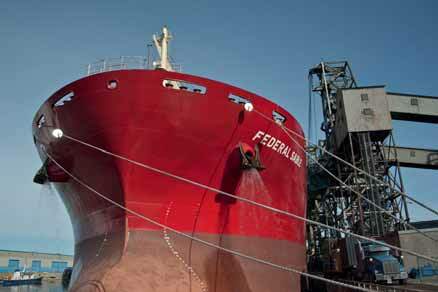 Fednav Limited, the largest international dry bulk shipping group in Canada, has joined the ranks of the best employers in Montreal in 2014, for the third consecutive year. Montreal’s Top Employers is an annual competition organized by Mediacorp Canada, in collaboration with The Gazette. Each year, a group of HR experts reviews nominations based on nine criteria, including benefits related to health and family, training and skills development, and community involvement. The strengths that surface in this competition display important features of what Fednav offers employees: a comprehensive group insurance plan, a defined-benefit pension plan, an athletic subsidy, maternity top-up, as well as a distinct culture of caring for the community and the environment, and for delivering a high standard of expertise and reliability.